Everything there is to know about Land buying or selling within FCT Abuja Nigeria... Feel free; enjoy reading as an educational tool or as a means to secure a Real Estate Agent to satisfy your quest for Land or Property acquisitions in Abuja the Federal capital of Nigeria. All you need to know about Land acquisitions within FCT Abuja. Investing in land is proving a valuable protection strategy for those looking to protect or diversify their assets. Feel free; enjoy reading as an educational tool or as a means to secure a Real Estate Agent to satisfy your quest for Land or Property acquisitions in Abuja the Federal capital of Nigeria. We have put together everything there is to know about land business, whether buying, selling residential, commercial, agricultural, or mixed-used Land. Abuja has been experiencing a housing boom over the past years. Developers have been investing greatly in new, modern homes, Residential and commercial buildings. Abuja Real Estate has proven to be one of the most lucrative investment opportunities currently available in Abuja the Federal Capital of Nigeria with low variability of returns. Nevertheless, investors must be aware of the somewhat long tenure of holding period that may possibly be required. Location of such property usually has an important effect on the holding period required. Federal Capital Development Authority FCDA allows any company, individual, Nigerian or non-Nigerian to buy Land property rights for maximum of 99 years, on condition that the purchase is declared to the government in advance. Who owns the land or property? You need to validate that the person/group you are buying real estate from is the correct titleholder because There have been several instances of land being sold by unlawful owners, or being sold to more than one buyer at a time. To safeguard you make sure a land title assessment is done at the appropriate government office which is (AGIS) Abuja Geographic Information Services, and a land valuation is also executed. There is usually a fee for these which are paid for at the purchaser’s expense. You need to analysis or review all property documents by yourself, and include yourself in all stages of the property buying process. As an extra protection, you need to have an independent lawyer to analyse your documents before you make payment for the property. If you are buying undeveloped land in Abuja there may be development timeline requirements by the Federal Capital Development Authority FCDA. It is common in certain Locations within Abuja that you are required to build at least basic infrastructure such as a well and building or foundation within a five year period. Developing the land will helps to ensure a lesser amount of questions of ownership of the property. Development timeline requirements should be determined before any purchase. The best way to guarantee a safe step into Abuja property ownership is to use an experienced real estate agency. If you have any questions or concerns feel to share your COMMENTS blow. 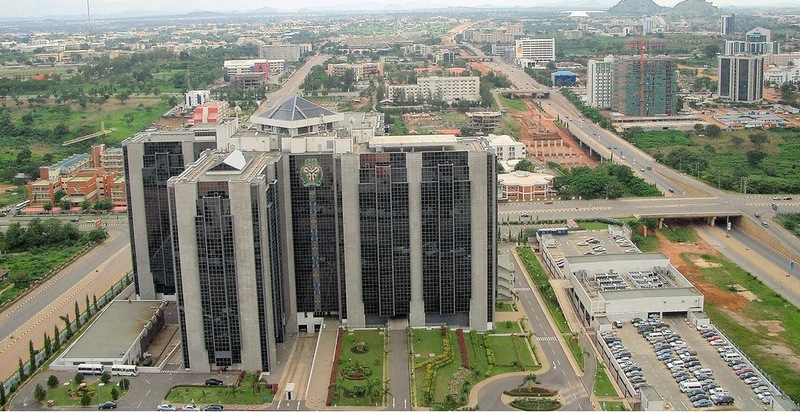 Click Here to Post your questions, comments and ideas about Abuja Land Property or Real Estate. Selling of land is usually a more complicated process than selling developed property. When you sell a land property with a building, its use and value is established by the building and other structure on it. Before buying undeveloped land, most buyers will want to investigate what they can do with it to determine what it’s worth. At the same time, the buyer pool for land is usually lesser than the buyer pool for developed property. With this in mind, selling land quickly in Abuja requires unique strategies. Hire an appraiser to determine the value of your land if you don't have the knowledge to do it yourself. Without knowing the worth your land, it will be difficult for you to assess the strength of the bargains that you receive. The assessment will also determine the highest and best use of the land, and you can use those facts to target your marketing activities. Put a large "For Sale" sign on a noticeable part of your land and include your telephone number. Although signs don't always lead to fast sales, they're worth trying. In addition, a sign repeatedly generates calls when it initially goes up. Contact the landlords of surrounding parcels of land to determine if they want to buy your land. Occasionally, a land owner will want to increase the size of his/her holdings. If your land has access to a road, water or another valuable feature, it can be mostly valuable to a neighbour whose land does not have that attribute. Your neighbours are also very familiar with your land, the area and its prospects, so they should be able to decide more quickly than a remote buyer or someone who is not familiar with the parcel of land. Present your land to possible users. For example, if your parcel is located where houses are currently being developed, home builders would be potential buyers. On the other hand, if your land is covered with timber in an area that is being logged, timber logging companies may be the paramount buyers. You may consider selling your land to a speculative investor. Many areas have investors that are willing to buy just about anything as long as it is cheap enough. These investors can close deal quickly, but will frequently offer you a very low price for your land. That's how they're able to move so fast in any transaction, they are getting a great deal. Those kinds of Investors usually won't require you to finance the land for them. The person who owns and wishes to sell the property would contact the experts in property management where an agreement is made in the presence of the regulatory organisation. Afterward, the property agent takes custody of the property and aids to sell the land on behalf of the seller. An agreement (verbal or written) between the land owner (seller) and the property agent is very important in this aspect, as the agent will help verify the availability of the said property to be sold. The verification of property involves a legal search via the Abuja Geographical Information System Office (AGIS). In Abuja Nigeria, the norm of “Law of Contract” is very much regarded; this is principle you need to follow if you want to sell your properties. Letter of request – a letter to the estate/property agent from the owner of the property (seller) requesting the agent to represent him/her in selling the property. However there are quite a lot of property agents in Abuja who can sell your property on your behalf. You do not need to be actually present to close any transaction; nevertheless, you must be careful and make your transaction known to the Nigeria Institute of Estate Surveys and Valuers to escape fraud. These are the most important things you have to bear in mind when you are selling real estate property in Nigeria. Need help with your quest for Land in Abuja? Get stuck searching for a genuine land? Found an interesting real estate article or news report you want to discuss? Ask your questions and find answers here quickly and easily. Click Here to Post your questions, comments and ideas about Abuja Land, Property or Real Estate.